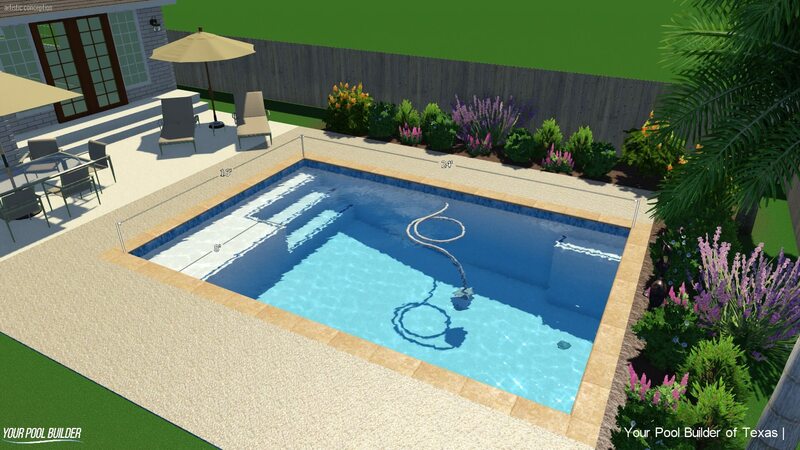 A customized in-ground swimming pool with the option to add additional upgrades or an attached hot tub. 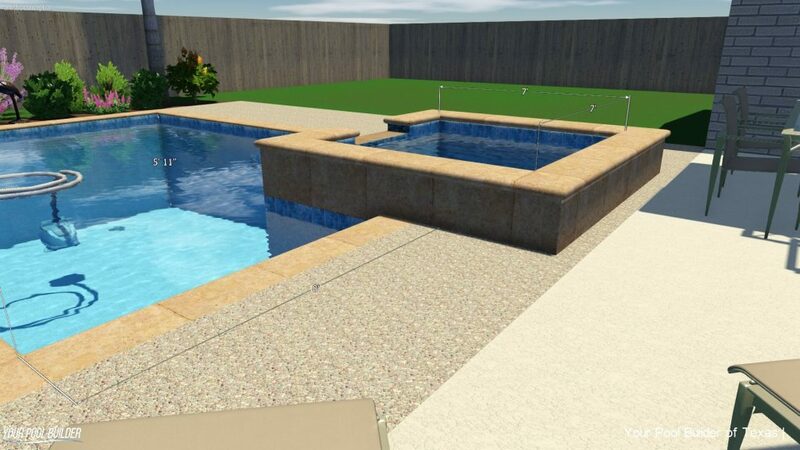 We start our custom pool packages at a minimum of 80′ perimeter in any shape because a pool smaller than 80′ perimeter (or under 380 sqft of surface area) is usually not desired by many homeowners in Texas. 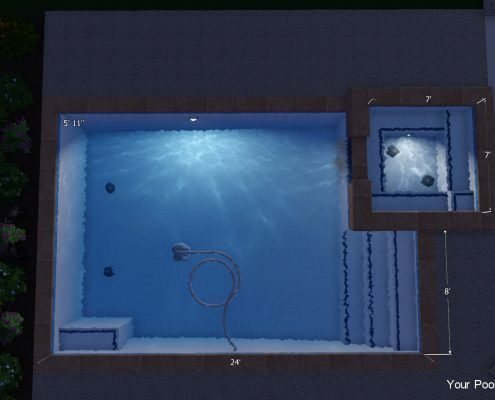 Based on 80 foot perimeter pool you can design in any shape, see below for more details. 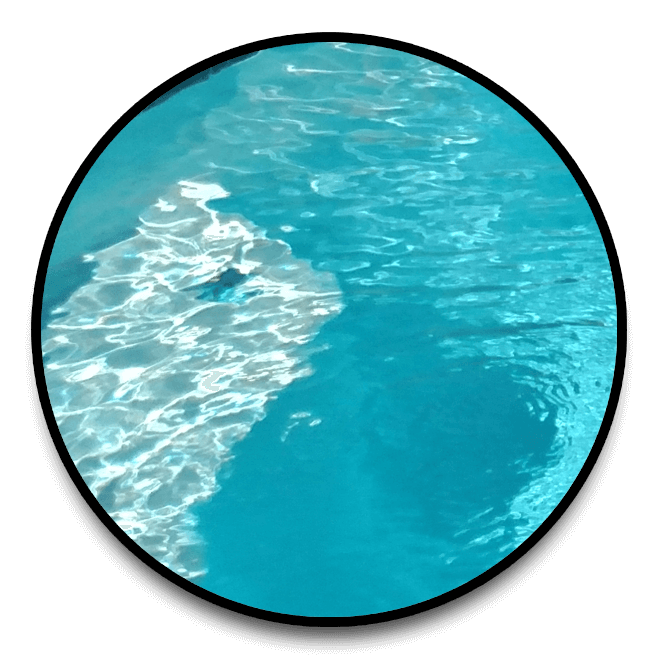 As inground swimming pool builders we can build to suite any requirement our clients may have, small or large, square or round. 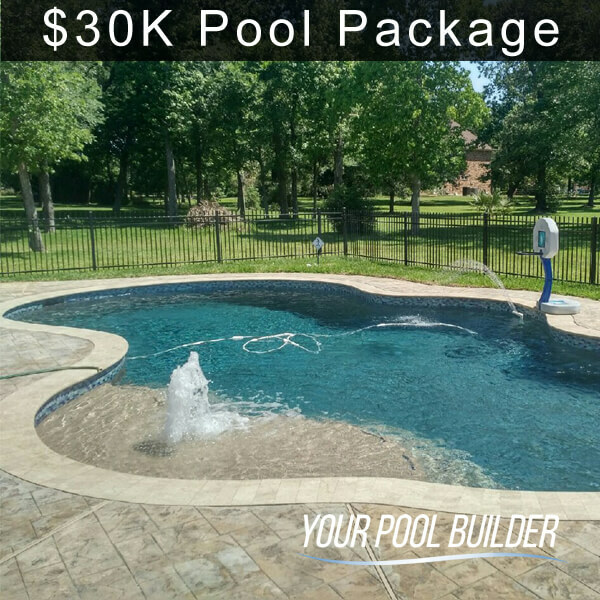 Combine your ideas with our starting package to create your own custom pool. Pool only, does not include hot tub. 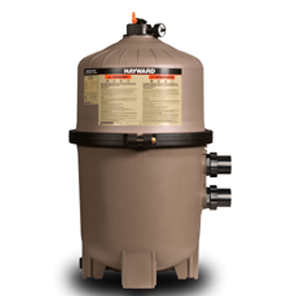 We offer top-notch energy efficient Hayward in-ground pool equipment backed by a solid warranty and built for performance to power up your pool and spa. 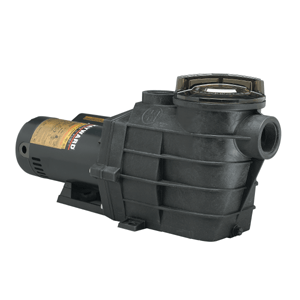 Part of our mission is making sure that you have the best pumps, filters, controls, heaters, cleaners and everything else that keeps you cool and your pool in working order. 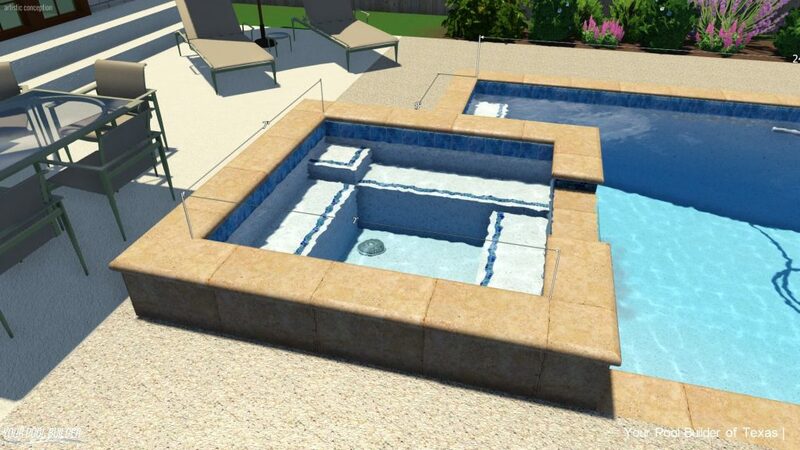 Materials included with the Base pool package are durable, long lasting and look great. 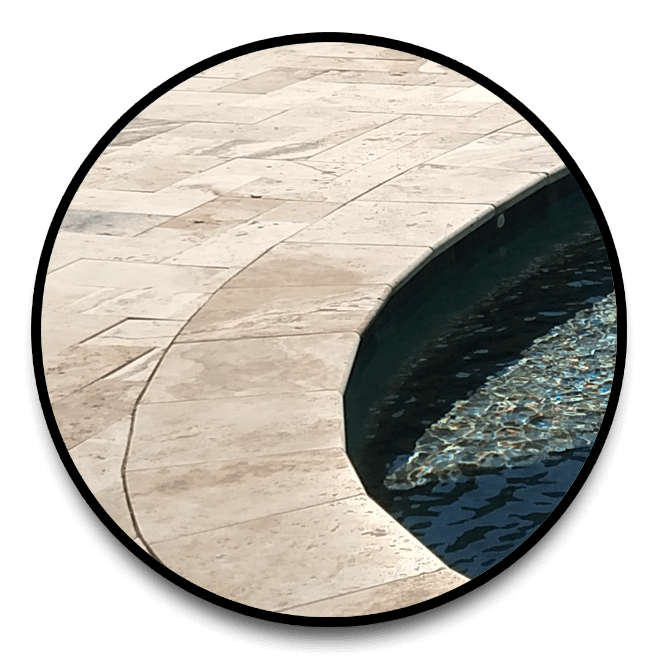 Our competitive advantage allows us to price some of the finer materials used on inground pools into even our basic models. 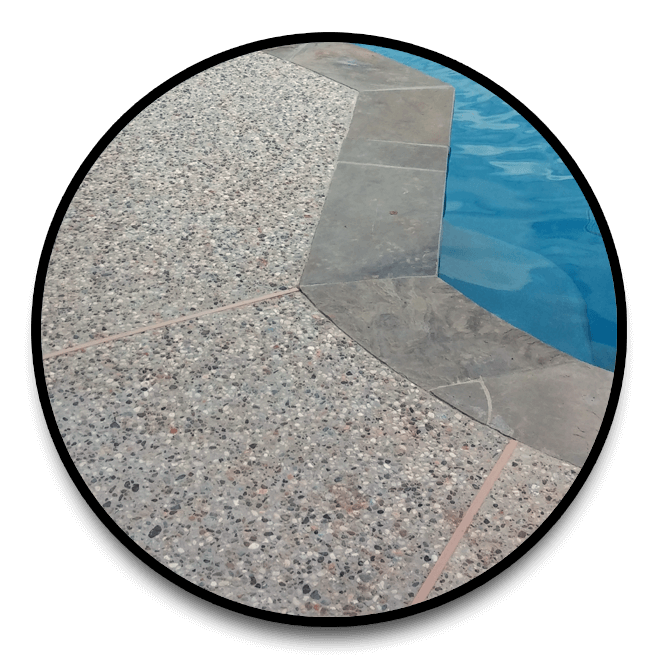 Enjoy your choice between the pool interior, tile and coping, and the waterline tiles. Discover and enjoy the full benefits of year round swimming and make it a combo with a spa! 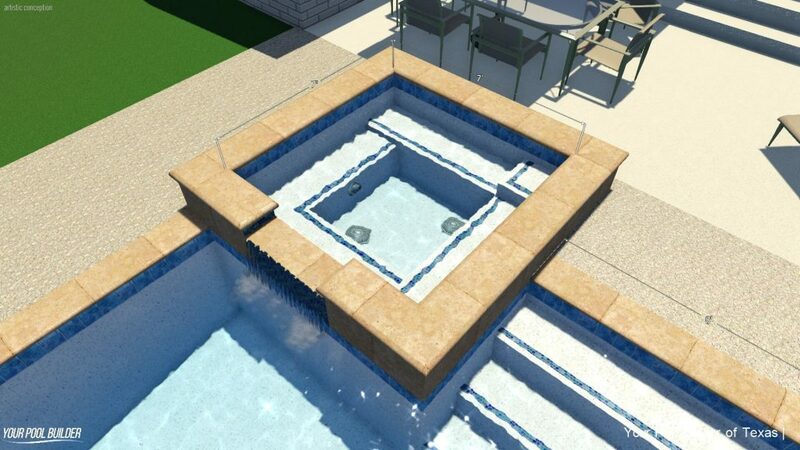 A raised spa will add extra dimensions of detail to a basic inground pool making the overall design more appealing. 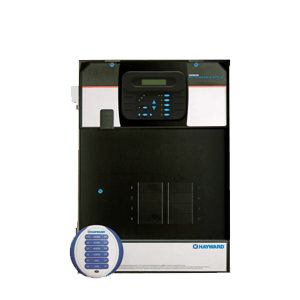 Adding a spa also comes with the ability to not only heat the spa but also use the spa heater on the pool, which results in longer swimming seasons for you! If you don’t have a hot-tub you might be missing out on some intense relaxation and the convenience of using your pool all year. Standard raised spa attached to pool includes up to 6 jets, multi-level bench seating, flat spillway into the pool up to 4FT, includes the spa heater (propane or natural gas only), forced air blower (for the bubbles) and the installation of these items into the pool system including the gas lines, plumbing, electrical, masonry, etc. 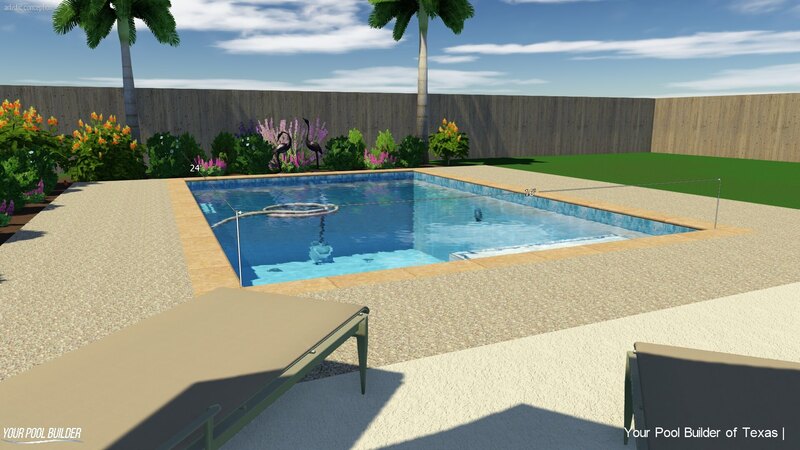 Starting with a respectable 80′ perimeter pool (or 380 – 400 sqft) of a customized shape to fit your backyard so long as it does not exceed 80 foot perimeter and 6′ total depth you could potentially get this pool package for not a penny more. 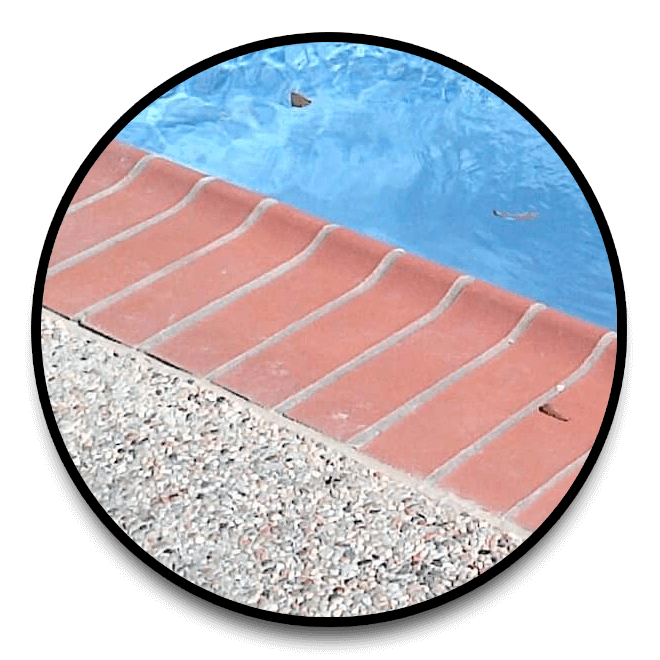 There are variables to each pool installation, such as (and not limited to) elevation challenges, no-access zones, certain city permitting zones, HOA restrictions or requirements, etc. 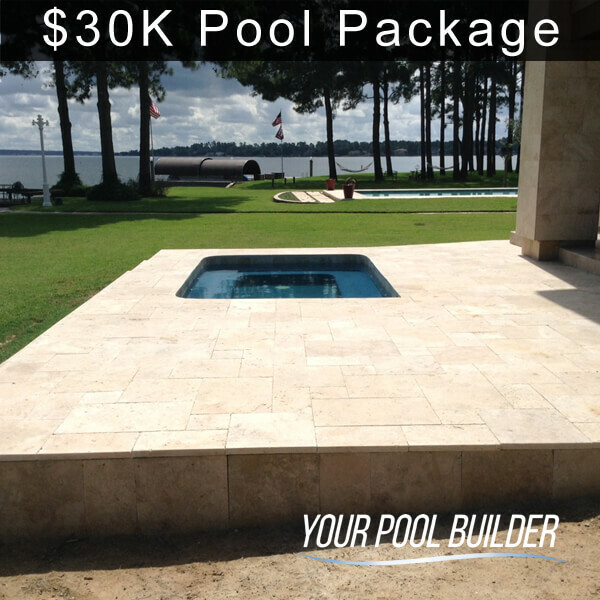 To increase the size of the pool, simply add $300.00 per every additional foot of perimeter. For example, add 10′ perimeter from 80′ to equal 90′ – this would cost an additional $3,000. 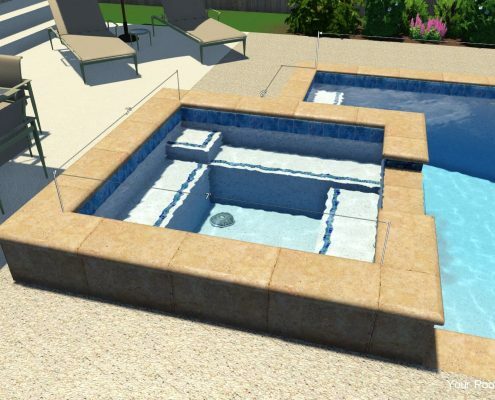 *Some exclusions or limitations may apply such as and not limited to: interior surface selections, extra benches, steps or design features, and is based on increasing size of pool structure only. 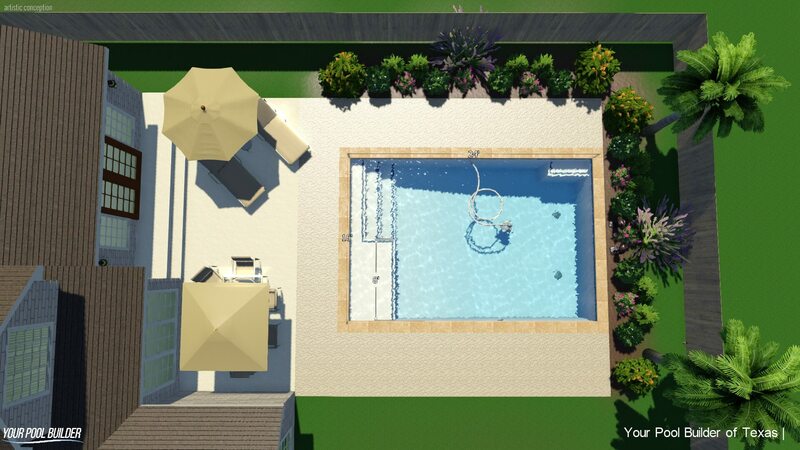 May not include adjacent concrete decking which may be increased separately from the size of pool. Many of our clients will start with the base package and begin to add only the certain item upgrades that they want or make sense for them. 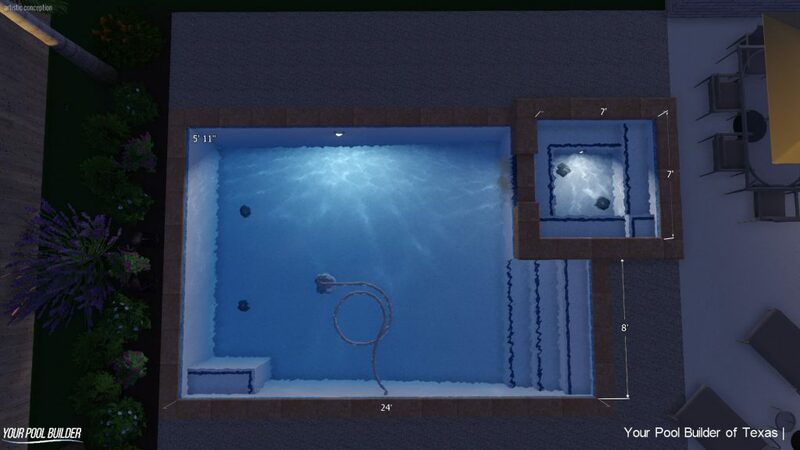 For example, a Base package pool but with LED lighting upgrade, salt system, and / or upgraded interior finish. 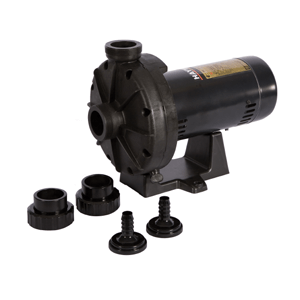 A very popular upgrade to the Base Pool Package is the Variable Speed Filtration Pump which helps to save on electrical operating costs. Sometimes 400 SF of concrete may not be enough for a project. Additional concrete will add additional cost. For example, +200 SF concrete making a total of 600 would cost approximately $1,700 – $1,900. 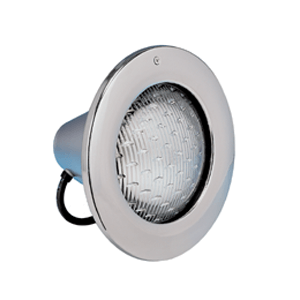 *Depending on special requirements, structural requirements, elevation challenges, drainage, and chosen finish material. 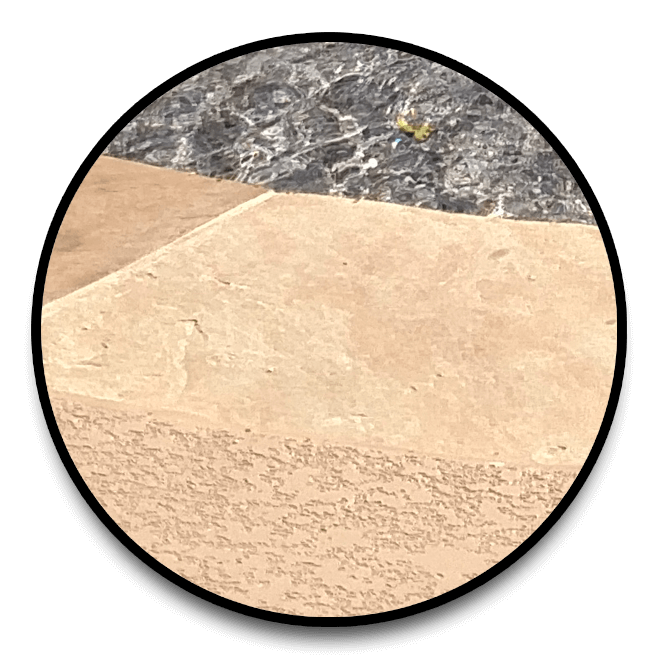 Keep in mind that there is more work that goes into pouring concrete (that will last and be less prone to cracking) than just pouring concrete. 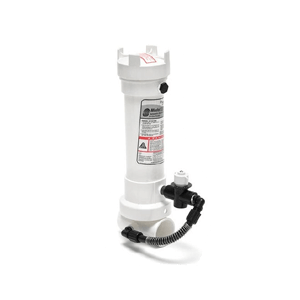 Things like turn-downs, footings, expansion joints, etc are all very important for a quality installation and these shall be added in the cost of installation. Adding a spa is the best way to keep using your swimming pool all year round because our 7′ x 7′ attached hot-tub packs are added onto any swimming pool configuration and come with a spillway that flows into the pool, a heater, air blower, multiple level wrap around bench seating, light, and 6 spa jets plus the plumbing lines and the whole nine yards for only $9,500 – $10,500 more! 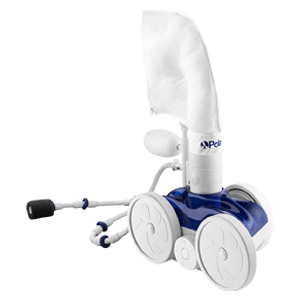 Spas have their own set of customization options much like a pool. 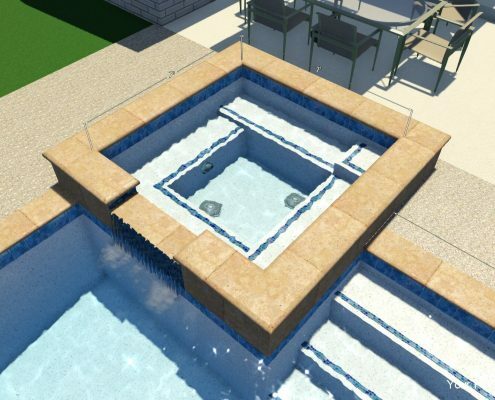 This Base pool construction package has no set limitations of design, shape, or availability to add-on or upgrades. You may choose individual upgrades on select items, materials or equipment. Additional cost items will be listed within the design proposal for your careful considerations. Our pool prices are subject to change, and limitations may apply such as but not limited too; elevation, access zones, city permitting zones, or otherwise as may be listed herein or otherwise. Additional travel charges may be applied to Walker & Polk county communities. 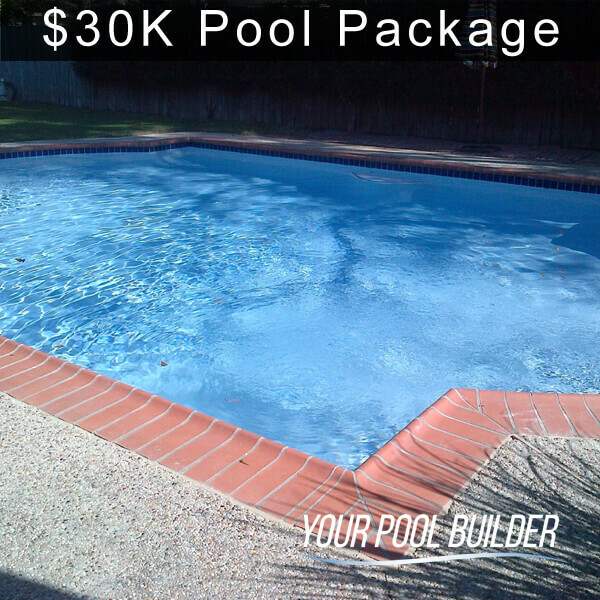 You may download our In-ground Pool Pricing Guide at no obligation. 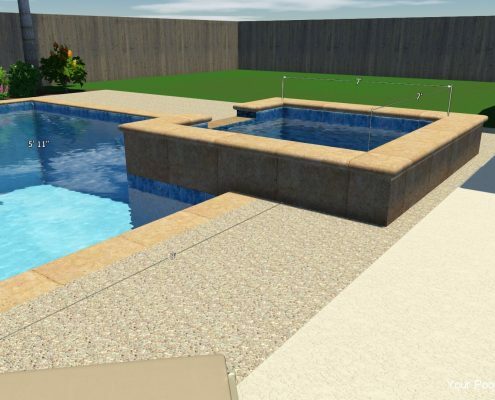 This is meant to be a starting cost guide to installing a custom inground swimming pool. Starting cost only in most areas, limitations, exclusions, may apply. All additional features are additional cost.